Online Fitness And Nutrition Coaching With A Little Extra Push. Do you make lifestyle changes with high hopes and then get frustrated when you don't see results? Want the guidance and accountability of working with someone who's been there too? No Matter How Hectic Your Schedule Is, I Can Help You Find Ways To Improve Your Diet And Health Habits. Results focused. Flexible. Simple to implement. This program is most successful for those who are busy and want to get great results without having to take a college course's worth of classes or research. It will give you nutritional structure, accountability, and personalized advice when you need it. You get everything from the Silver Coaching plus an additional weekly coaching session with me. Every week you’ll have a 15 minute coaching session with me by Skype. We’ll check in on progress and challenges. There isn't a test; the goal is to adjust your action plan, habits and eating strategies in real time, working around your real life obstacles so that you get where you want to be safely and quickly. You will be sent a questionnaire before starting the program so I can assess your current challenges, priorities, fitness goals, nutritional preferences, lifestyle and general health concerns. It's not a competition. Your life isn't exactly like anyone else's, so your plan will be individualized for you and your goals. I'll be there for you every step. I'll review your workouts and meals, monitor your progress and guide you through challenges, answer your questions, and encourage you through the online coaching platform. I will see to it that you have what you need to succeed in your unique situation. The rest is up to you. Tracking your actions will help keep you accountable to your short and long term goals. Weekly, we'll review to keep you on track and adjust goals and expectations. This will be quick surveys, reflections,and feedback to keep you focused. Every other week you will update your measurements and personalized metrics. 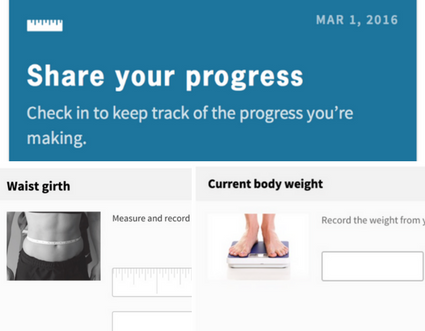 Monthly, you'll upload progress photos. You really won't believe the difference a month can make until you see it. Watch how exactly does ProCoach work. You’ll get a lesson, a workout, and a habit to practice daily through the online coaching platform. You’ll receive feedback regularly from me, and you can reach out for assistance anytime.